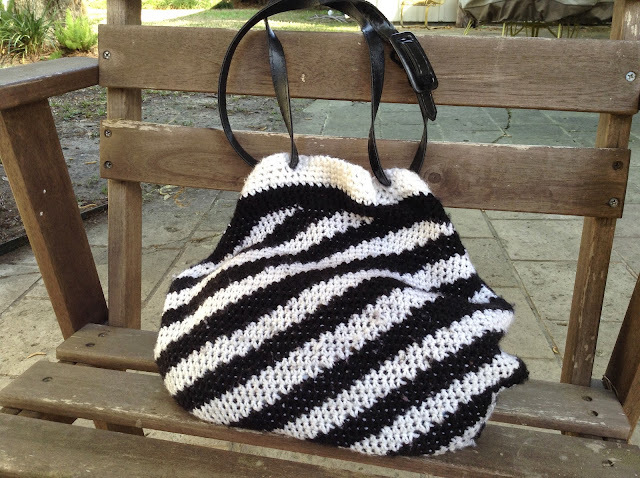 One of the accessories I really love is a crochet bag (or purse as they call them stateside). This was a work in progress (wip) that I'd abandoned I'm not sure why but a few weeks ago I completed it and this is my new purse. It should only be for for occasional use but of course I am using it every day because I love it so much so inevitability it will wear out really quickly. I upcycled an old belt for the handle which pleased me very much being the thrifty Brit I am.